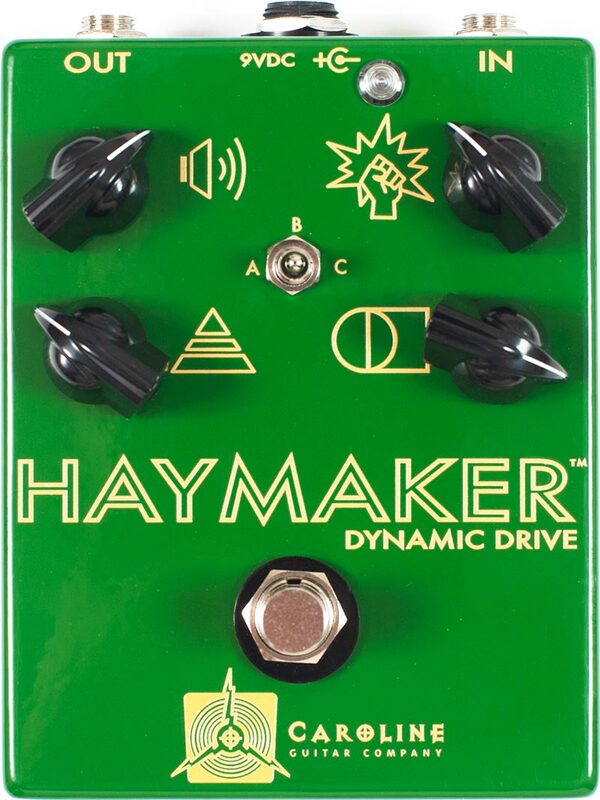 After implementing an overdrive preamp in our Kilobyte® Lo-Fi delay, we decided to finally make our ultimate overdrive engine, the Haymaker™. Prepare to be shocked at its character, range, versatility, and power. Easily capable of going from open, glassy flavors of boost to classic crunch sounds that sound like an extension of your amplifier’s character, Haymaker can go even further into high gain territory. A three-way mode switch lets you choose soft-clipped overdrive, open uncompressed drive, or harder clipped distortion textures, allowing you to decide how the pedal will respond to the wide range of control settings and changes with your pick attack and volume control. These responsive changes in dynamic range are why we call this a “dynamic drive”. From the first day we began making pedals in fall of 2010, we received requests to build clones of well known overdrives such as the Klon Centaur™, Timmy™, and Tube Screamer®. We were never interested in pursuing that kind of work. While those are great pedals that are already out there for people to find, for us to make something worthy of replacing one of them on our personal boards, it would take more than just putting our name on another maker’s design. We weren’t going to make and release an overdrive until we came up with our own thing that was interesting to us and something that we liked even more. We’ve also done a limited run of Haymaker specials, similar to the limited Gold ones we did before. Hand-wired with a special Russian D9E diode inserted into the clipping array for a fuzzier, hairier clip, this pedal also features a half dozen other secret circuit changes that affect the response for extra tubey amp textures. As Premier Guitar wrote in its review, awarding this pedal 5 out of 5 stars (that’s all of them!) 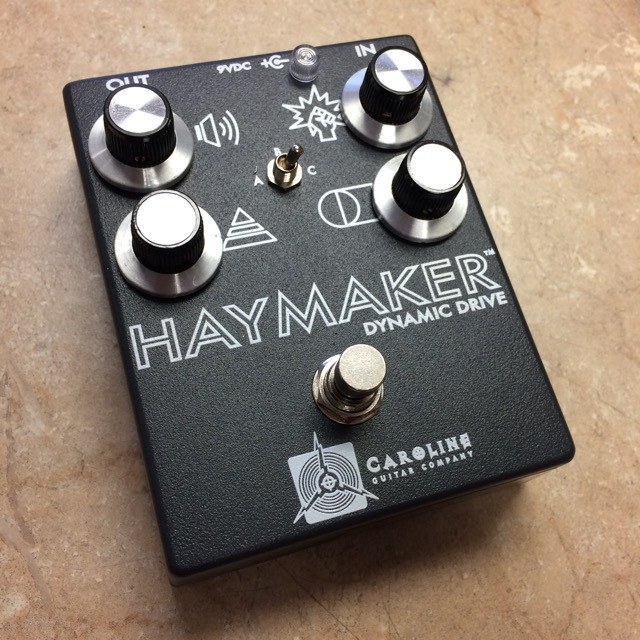 for Tones: “about a million shades of overdrive from mild overdrive to fuzzy distortion.